Readings are well known for our expertise and experience in-house and Property Auctions Leicester and beyond. We run the Auction House Leicestershire franchise, which allows us to combine local knowledge with national strength. We hold regular property auctions in Leicester that are always well attended. Why? Because we sell a variety of interesting (and sometimes unusual…) lots. Using our auction house services is a great vehicle for selling if you want a definitive sale on a given date. Just list your property on the date you want, the buyer will pay you a deposit when the hammer goes down and you can exchange contracts there and then. Alternatively, if you’re looking for experienced estate agents in Leicester or a chartered surveyor in Leicester then we can help too. Over the years we have fine-tuned our auction process to ensure that we explain everything clearly and that you as the seller, understand all aspects of the auction. If you’ve got property or land that’s a little unique or different, needs some TLC or has structural or legal issues, then it could be right for auction. Readings are the perfect auction house to help. Our process ensures that you receive an appraisal of your property or land from one of our experienced valuation team. We’ll talk you through the valuation and let you know whether your property is suitable for sale in an auction or if there is a better way to sell. We’ll give you advice that will benefit you the most – which is why so many people come back to us. As a simple rule of thumb, at auction, your aim is price down and sell up, as opposed to sale by private treaty, where you generally price up and sell down. If you’ve got property/land to sell and would like to know how much it may be worth at auction, then complete our valuation request form and a member of our auction team will contact you. Alternatively, call us on 0116 222 7575. Whether you’re an experienced investor or a first-time buyer, our auction saleroom can be a very exciting place to be. There really are exceptional investment property opportunities on a regular basis. Dreams really can – and do – come true. If you find the process a little complicated or daunting, come along to any number of our Leicester auctions, before you take the plunge and buy. And if you’re a potential seller, pop along and see how it works. To learn more about the auction process, give us a call. We can organise a chat over a cup of tea or coffee and a biscuit and we’ll show you how the whole process works. If you have a property you would like to put into an auction in Leicester, or are a buyer looking for an investment, contact Readings, Auction House Leicestershire today. 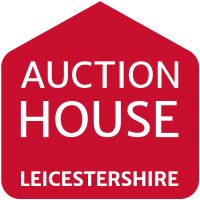 To register for Auction updates and check out our forthcoming or previous sales, just go to www.auctionhouse.co.uk/leicestershire.